Microbiology graduate student Quinn Washburn developed a board game called Oligotrophic designed to help students understand the microbial ecology of the oceans and movement of biomass. 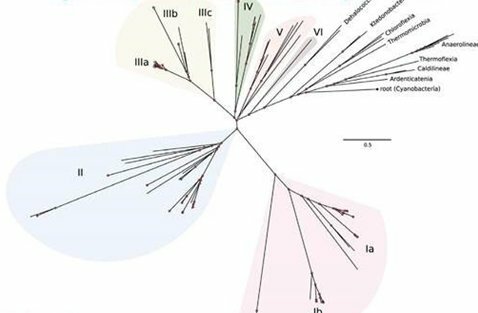 Marine microbes live extraordinary lives of their own, albeit ones fraught with danger and opportunity. Scientists at OSU, including Dr. Ryan Mueller, Microbiology, are investigating the effect of probiotics on the health of oyster larvae and their microbiome thanks to a grant from NOAA Sea Grant Program. Coral reef documentary at Darkside: "Saving Atlantis"
Dr. Yuan Jiang, Dr. Duo Jiang and Dr. Thomas Sharpton (Microbiology/Statistics) were awarded a prestigious four year $770K grant by the National Institute of General Medical Sciences and NIH to study the human microbiome. 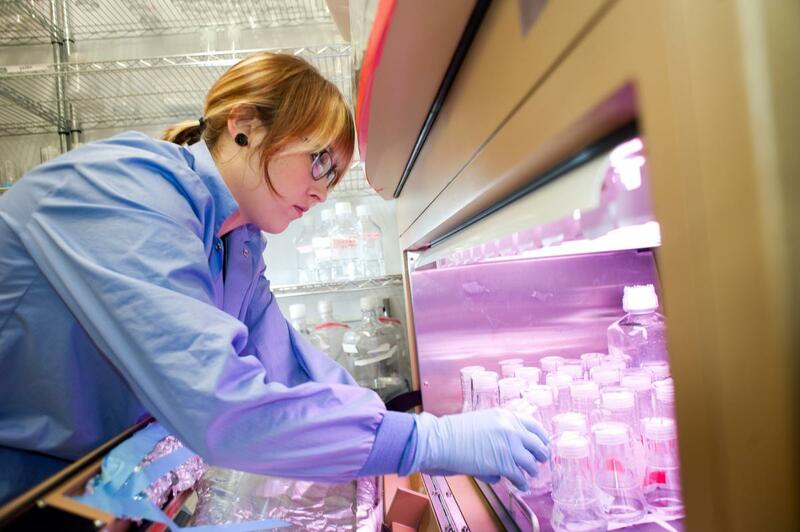 This project will advance scientific understanding of the functions and operations of microbiomes by developing statistical methods and models to study biological interactions between microbes or between microbes and their host. Below the Waterlines workshop ALS 4001, April 9, 10-11:30. 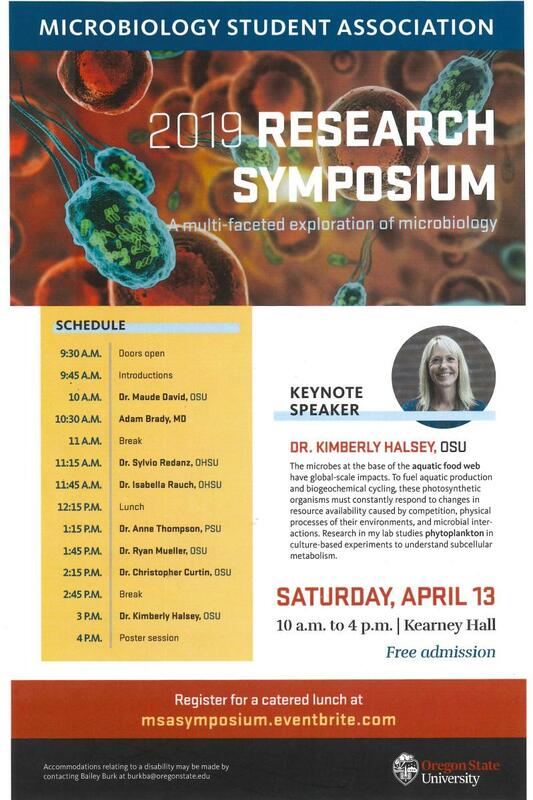 Microbiology Student Association (MSA) 2019 Research Symposium, Saturday, April 13 10:00 am to 4:00 pm Kearney Hall; 3:00 pm Dr. Kimberly Halsey, Microbiology OSU, KEYNOTE SPEAKER.